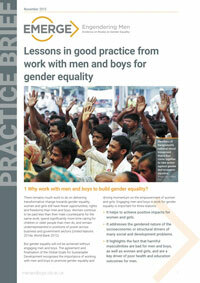 This evidence report, produced as part of the EMERGE project, critically assesses trends and shifts in engaging men and boys for gender equality over the past 20 years. 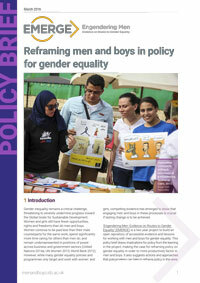 It explores successful policies and programs and implications for best practice, as well as future directions for promoting men’s and boys’ support for gender equality, across a variety of priority thematic areas. 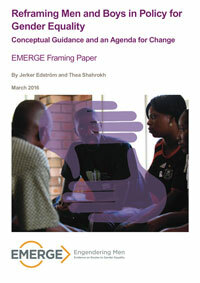 The evidence summary highlights key findings and lessons learned.